These ideas may be good or bad or somewhere in between. The goal of a lean startup is to quickly discard the bad ideas, optimize and scale the good ones, and figure out how to move the so-so ideas into the good or bad categories. With the release of Eric Ries' bestselling book The Lean Startup two months ago, the Lean Startup movement has received tremendous exposure in the business press and general media. So, what are lean startups? Lean startups use a scientific approach to creating and managing innovation and to get profitable products to customers faster. The approach adapts concepts from lean manufacturing to reduce waste in the entrepreneurial management process and attempts to reduce the likelihood that a startup creates a product doesn't lead to a sustainable business (eg. a product that no one wants or that no one will pay for). Of course, using this approach doesn't mean that lean startups won't experience product failures. Rather, it allows entrepreneurs more opportunities to test their business hypotheses and learn from customers given the same amount of time and money. Last night, game design rock stars John Romero and Brenda Brathwaite held a Q&A session in front of a packed house at the Cogswell Polytechic's Dragons Den in Sunnyvale, California. Romero is a game designer, self-taught programmer and artist who has published 97 games and is the father of the modern first person shoot genre. Brathwaite is another game industry veteran with dozens of games to her credit including the Wizardry series and Dungeons & Dragons. In November 2010 Romero and Brathwaite co-founded social game company Loot Drop. 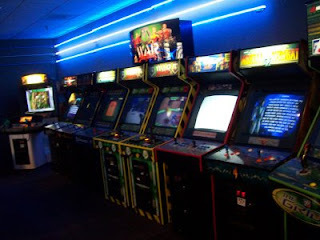 The energy game mechanic in many social games is simply another version of arcade games that require players to drop quarters to continue playing. 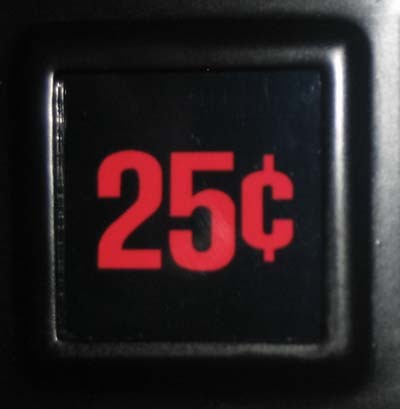 Since gaming is an industry and not an art form, all game successful designers need find ways to get their players to pay them. If you don't like a monetization mechanic, design a different one. Sound design is an important aspect of overall game design. Sound designers and composers should attempt to make the sounds in their games distinctive. Sounds and music can lend a unique signature to a game. The core second-to-second game mechanics are the most important elements of a game to get right. Once this part of the game is solid, then other mechanics and longer story arcs can be layered on top. Mechanics are the message. 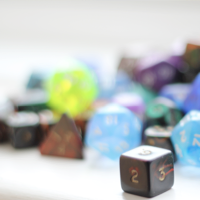 Distilled to their essence, games are defined by a structured set of rules. Tidiness theory. The natural human design to keep things tidy and organized can be expressed in a variety of game mechanics. For example, PacMan can be seen as a game about cleaning dot from a maze. Other games encourage players to clear each level. If you'd like to find out more about Romero and Brathwaite you can check out Planet Romero and Brathwaite's Applied Game Design blog. Most of the buzz these days is around the raft new gamification start-ups and a smaller number of established players. These companies are the ones who are raising capital and building the products and platforms that will sustain this fast growing market (see my previous post on Enterprise Gamification Going Mainstream). But professional services is one of the overlooked parts of the gamification ecosystem, and as the industry heats up, we should expect consulting to be the next big growth area. We've seen this all before in the enterprise space. Take a look any out-of-the-box product built over the last 20 years (ERP systems, document management solutions, SaaS CRM applications, or the current crop of cloud-based services). While the companies behind these products aspired to provide world-class self-service platforms, inevitably only the smallest companies with the most vanilla implementations have been successful on their own. There is no reason to think that Gamification will be any different. As Kris Duggan, CEO of gamification company Badgeville, recently told the Wall Street Journal, "adding gamification to the workplace drives performance but it doesn't make up for bad management. If you are a bad manager, gamification won't help you." The Journal article went on to say, "Companies need to make sure that the games are designed to actually reward desired behaviors and are not just doling out meaningless awards or badges. Firms also need to make sure that friendly competition doesn't get out of hand, fostering animosity among employees." In other words, there's a right way to do gamification and there's a wrong way. 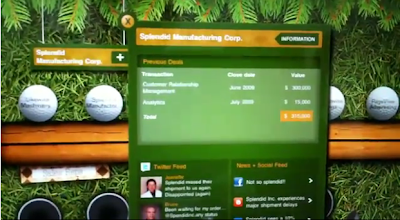 Gamification of the enterprise has officially gone mainstream with the October 10, 2011 coverage of the industry in the Wall Street Journal. This spring Forbes Magazine featured an article on how enterprise application giant SAP is applying game thinking to their offerings in order to create a more engaging experience for their users. Companies from IBM and Agilent to Goodrich and Deloitte Touche Tohmatsu are introducing game mechanics into the workplace to make everyday tasks like training, data entry, and brainstorming more fun. Employees boost their egos by earning badges and engage in friendly competitions with their colleagues. Companies can improve employee health and wellness and drive down healthcare costs by implementing fitness competitions or spur new product development with innovation tournaments. In my last post, I wrote about how the time was right for gamifying job hunting and how two fellow bloggers, Brooke Allen and Jon Loomer, had recent written about the subject in separate posts. 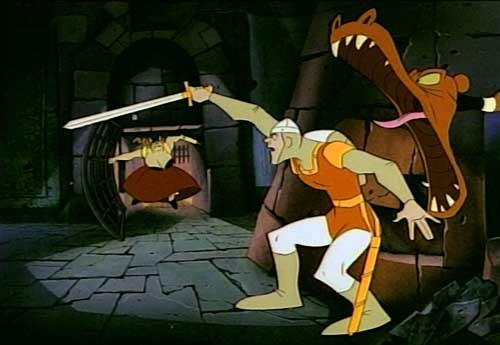 Even before I wrote that post, I had been thinking a lot about what the essence of a Job Slaying game should be. My goal is to create a game that is both supportive and transformative. The game would need to support the job hunting process as well as transform the way people think about jobs and work. (Note that the game I've designed is heavily influenced by the rules for Jane McGonigal's game SuperBetter as published in her blog and Brooke Allen's No Shortage of Work philosophy. I have also gotten valuable insights from Job Slayers, Jon Loomer, Dylan Holmes among others.) With that said, here we go. 1.) Recruiting allies. Having a strong social support network will help bolster Job Slayers as they pursue their quest and face inevitable set backs. Therefore, folks who are out of work first and foremost need to identify a go-to team of people who can help then track their progress and keep on track, boost morale, and think outside the box about what they want out of their next jobs and how to get it. Author and game designer Jane McGonigal recently announced the beta release of SuperBetter, a gaming platform designed to help people achieve their health goals — or recover from an illness or injury — by increasing personal resilience. This site developed out of McGonigal's real world experience with recovering from a Mild Traumatic Brain Injury in 2009. In addition to traditional game mechanics, SuperBetter features insights into the latest scientific and clinical research. With serious games like SuperBetter taking off and unemployment at post-Depression highs, what time would be better than now to gamify the job hunting process. Two of my friends, quite independently, have been doing a lot of thinking about this. A casualty of the ailing economy, digital marketing strategist Jon Loomer recent launched a social media game called #GetLoomerAJob. In this game, friends can earn points by publicizing Loomer's job search on Twitter, Facebook, or LinkedIn, or by making introductions. The person who gets Loomer a job and the person who helps out the most are eligible for some cool prizes including a day donated to the winner or company/charity of his or her choice. Whether or not Loomer lands a job thru this game, Loomer displays his digital marketing chops in spades. Total creative brilliance! Brooke Allen, the creator of No Shortage of Work (a blog dedicated to the proposition that there is NEVER a shortage of work, and that there are always ways we can collaborate to accomplish things, and to learn from each other), approached this problem from point of view of making it fun to learning new skills and hunt for a job. In a recent post, Allen discusses how "Jobsville" can help put America back to work with gamification expert, Gabe Zicherman. What do you think? What would get you to play the Job Hunting game? 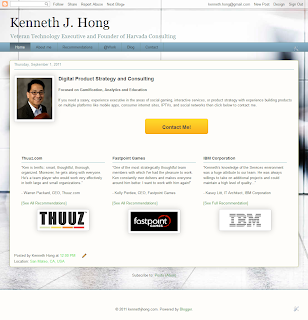 I am proud to announce the relaunch of kennethjhong.com. The old site was really two separate blogs (one for personal musings and the other for company-related announcements) and was barely held together by a common menu bar. The launch of the new website coincides with the creation of Harvada Consulting, a private consulting business focused on helping company founders and senior executives with product visioning and strategy. This business is an extension of what I've been doing informally for several years. Making your Corporate Website Relevant A great presentation by Jeremiah Owyang discussing a road map for social integration on corporate websites. Official Facebook video explaining how social plug-in are meant to add social content to websites.